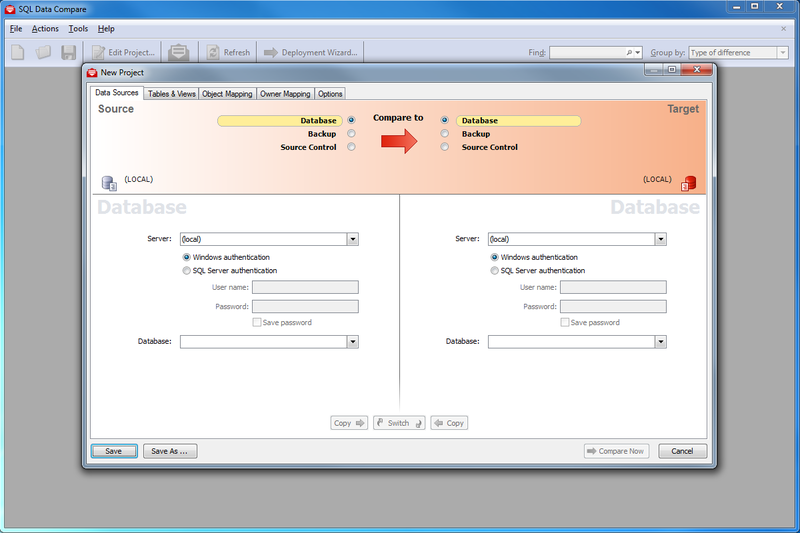 SQL Data Compare is the industry-standard tool for comparing and deploying SQL Server database contents. You can work with live databases, backups, or SQL scripts in source control. Damaged or missing data can be restored to a single row, without the need for a full database recovery. SQL Data Compare helps you compare and deploy changes quickly, simply, and with zero errors.